Helen (Sunny) F. Ladd is the Edgar Thompson Professor of Public Policy Studies and professor of economics at Duke University. She is a prolific researcher in the field of education policy, a member of the CALDER management team, and leads the work of the North Carolina team. She is also the co-editor for theJournal of Policy Analysis and Management. With Edward Fiske, Dr. Ladd is the editor of The Handbook of Research on Educational Finance and Policy, the official handbook of the American Education Finance Association. She is also the editor of Holding Schools Accountable: Performance-Based Reform in Education (Brookings Institution, 1996) and the coauthor (with Edward Fiske) of When Schools Compete: A Cautionary Tale (Brookings, 2000) and Elusive Equity: Education Reform in Post-Apartheid South Africa (Brookings, 2004). 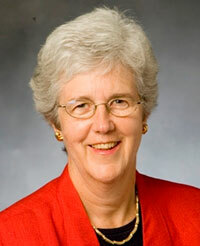 From 1996-99 Dr. Ladd co-chaired a National Academy of Sciences Committee on Education Finance. During the past few years she has written articles on charter schools, school-based accountability, market-based reforms in education, parental choice and competition, and a series of papers on teacher quality and student achievement. Currently she is continuing her research on teacher labor markets and teacher quality using North Carolina data. She received her Ph.D. in Economics from Harvard University.